We’ve got an in-depth look at what Luminar 3 can do with Photofocus Publisher Rich Harrington. Join Richard Harrington as he walks you through a detailed overview of getting results with Luminar 3. You’ll learn how to set up a library, use workspaces, get results with filters and harness artificial intelligence. You’ll also discover how Luminar works as a plugin with Lightroom Classic and Photoshop. Rich is the publisher of Photofocus.com and also works on the Luminar team. Get inside info in a brisk 26 minutes that will get you up and running immediately. 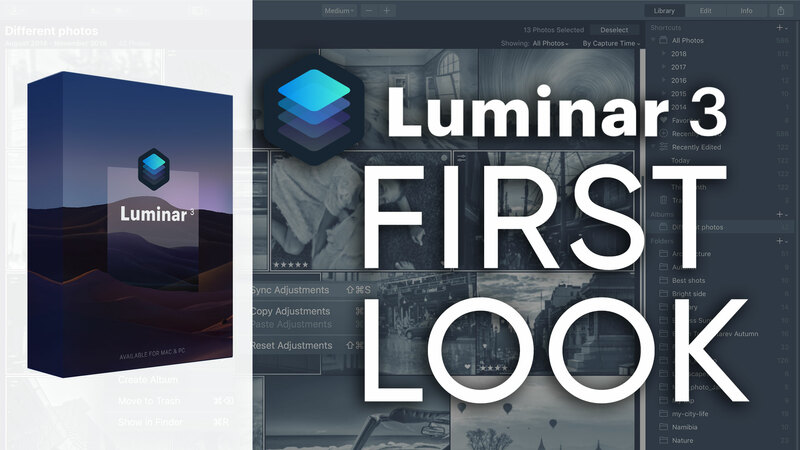 You can pre-order Luminar 3 with Libraries for a reduced price along with additional bonuses during this pre-order offer. Those who purchase Luminar during this campaign will instantly receive Luminar 2018 + bonuses and then a free upgrade to Luminar 3 with Libraries after its release on December 18. New users can purchase Luminar 2018 for US$49 (with PHOTOFOCUS coupon code).